Mrs Wilson begins with ‘the following is inspired by real events’ but the truth is even more than that, as main protagonist Alison Wilson is played by Ruth Wilson, who just happens to be her granddaughter. For the story is taken from the extraordinary revelations of her own family history and adapted into a three-part serial here, which is marvellously tense and beautifully filmed. Irène Némirovsky’s novel Suite Française has one of those origin stories you’d scarcely believe if you read it in a novel itself. In 1942, Ukrainian-Jewish Némirovsky was deported from the France where she had lived more than half her life, having written two parts of an intended sequence of five novels in the previous couple of years. She spent time at Pithiviers and then Auschwitz where she was murdered, leaving notebooks with family members who could not bring themselves to look at them until they were to be donated to a museum whereupon they were amazed to find complete novels as opposed to mere scribblings – thus Suite Française was published in 2004 to considerable acclaim. Released by Netflix just in time for Hallowe’en, I Am The Pretty Thing That Lives in the House naturally popped up on my register as it features the ever-luminous Ruth Wilson in the starring role of Lily. Indeed, Oz Perkins’ film rests mainly on her shoulders, as a live-in hospice nurse who becomes increasingly convinced that her elderly employee’s Massachusetts house is haunted. her fears rooted in her boss Iris Blum’s former career as a horror author. Quite a bold gambit here, as Jessica Swale’s Sicily-set scenes are interpolated with Jeremy Herrin’s glorious 2011 production. And most glorious within that production, Eve Best’s heart-breaking, life-affirming recounting of a star dancing is placed front and centre. So Katherine Parkinson and Samuel West are up against it a bit, swanning luxuriously but longfully around the Villa Ida in Messina, never too far from Best and Charles Edwards doing Beatrice and Benedick as well as they ever have been done. 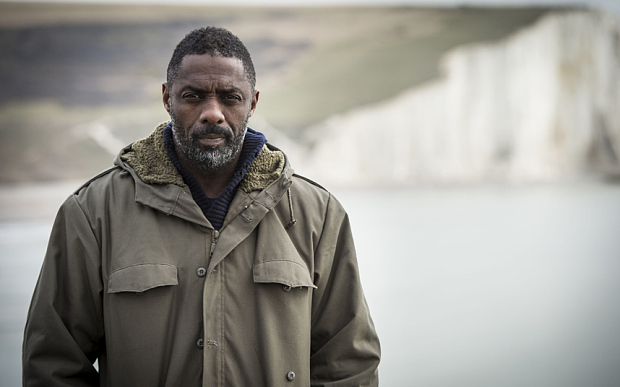 It doesn’t quite seem right, calling this a new series of Luther when it is just two episodes, but the return of Idris Elba’s maverick DCI is something to be celebrated nonetheless. 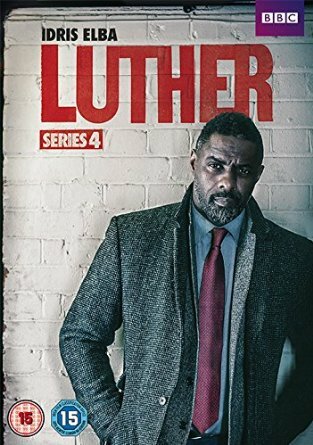 Neil Cross’ two-parter finds John Luther on a leave of absence from the Met (as opposed to having jacked it all in as we might have thought), sequestered in a coastal cottage hideaway and still reckoning with the loss of his cop partner DS Ripley after the events of the last series. Almost straightaway though, the show runs into the problems that mark the whole episode. When a rooftop beekeeper and quantum cosmologist meet-cute at a party, the first few lines of Nick Payne’s play Constellations suggest a rom-com in the making as time restarts and a new possibility plays out, it’s clear that there’s something much more eloquently sophisticated at work here. Premiering at the Royal Court upstairs, Michael Longhurst’s production manages to be both intimate and epic, the story of two people somehow expanding to fill several universes of heartfelt emotion. When a rooftop beekeeper and quantum cosmologist meet-cute at a party, the first few lines of Nick Payne’s play Constellations suggest a rom-com in the making as time restarts and a new possibility plays out, it’s clear that there’s something much more eloquently sophisticated at work here. Transferring from the Royal Court upstairs to the Duke of York’s in the West End, Michael Longhurst’s production sacrifices nothing in the scaling up to the larger venue and if anything, gains in epic power. When a rooftop beekeeper and quantum cosmologist meet-cute at a party, the first few lines of Nick Payne’s play Constellations suggest a rom-com in the making as time restarts and a new possibility plays out, it’s clear that there’s something much more eloquently sophisticated at work here. Marking the Broadway debut for all concerned, Michael Longhurst’s production manages the transatlantic transfer seamlessly and one wonders where the show could end up next. Woking. 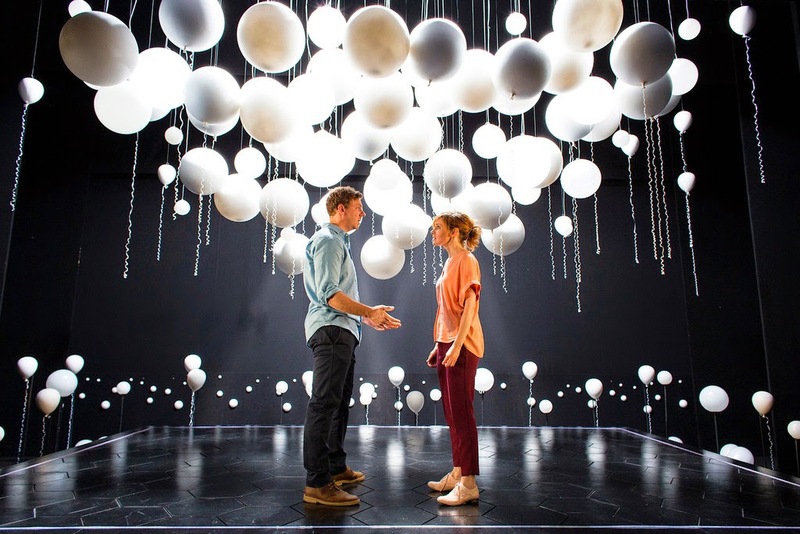 After successes in the West End and on Broadway, Nick Payne’s play Constellations is now touring the UK, starting off at the New Victoria Theatre in Woking. Which is as good a place as any to see a rooftop beekeeper and quantum cosmologist meet-cute at a party and find themselves exploring the many possibilities that their relationship could take as scenes are played and replayed, shifting their journey together subtly but ineffably into new places. Sally Hawkins and Rafe Spall. Perfect casting for the effervescent, wise-cracking Marianne and the slightly nerdish but endlessly endearing Roland, their intensity beautifully matched especially in the poignant flashforwards. Sally Hawkins and Rafe Spall. That perfect casting retained for the transfer, their ease with each other and the technical challenges of the script even smoother than before and if the larger venue challenged them at all, there was no evidence of it. Ruth Wilson and Jake Gyllenhaal. All change for Broadway – Wilson’s immense subtleties (is that an oxymoron?) made an ideal, if less kooky, Marianne and Gyllenhaal gave an interestingly judged performance as Roland, less obviously blokey but no less moving. Louise Brealey and Joe Armstrong. And to the tour, Brealey really makes her mark with a more brittle, abrasive interpretation that contrasts so effectively with the warmer moments, and Armstrong exudes a hugely likeable affability that you would certainly chase across universes to find and keep. Can I really put my finger on why I like this play so much? Why I think it is one of the smartest pieces of new writing that I’ve seen in recent years? I’m not sure that I can. It’s to do with the way it wears its scientific concepts so lightly – I mean I couldn’t tell you anything about quantum physics right now but during the play, it feels like maybe I could. It’s to do with the all-too-human instinct to wonder what if I’d done that differently, what path might that have led me down. It’s to do with the expression of such powerfully felt emotion that yet feels intelligently reasoned. It’s to do with free will. It’s to do with love. I cried a little bit. Well quite a bit. I cried so much I couldn’t speak for about quarter of an hour afterwards. I cried a lot, but a New Year’s Day hangover probably had something to with my emotional state too. I cried a surprisingly small amount, almost just the artful single tear in fact. Tom Scutt’s design is inspired – I don’t tweet him. Atom-based clusters of balloons trail from the corridor into the theatre, hexagonal tiles mark out the physical space the actors occupy, and Lee Curran’s lighting tracks the darkening mood perfectly. Tom Scutt’s design is inspired – I don’t tweet him. Some of the finer details are lost in the larger space but the evolving scale of the work is artfully done, capturing something even grander about the emotional contours of the play. This time, it is the sound design by David McSeveney that resonates stronger, delineating each fundamental shift so clearly. Tom Scutt’s design is inspired – I tweet him, I don’t meet him. It looks as good as ever but the detail of Curran’s lighting is what captures my attention – the shift in the flashes of colour through to blood red, the antiseptic white of the harsh future scenes, the individual balloons picked out in lights with their own secrets. Tom Scutt’s design is inspired – I tweet him, I don’t meet him and now I probably never will. Since the show has been end-on, there’s been a key scenic detail that I’ve missed every time. Every time. There aren’t enough potential universes to explain this. I need to go again. Can I put my finger on why I like Constellations so much? Even on my fourth viewing, there are details that come to me anew. There are details that have still yet eluded me. There are scenes that somehow pack a gut-punch as fierce as the first time – why wouldn’t language shift that way. And in perfect keeping with the theme of the show, Michael Longhurst has kept the production the same but different, or is it different but the same in a remarkable way. Marianne may wear an almost identical outfit whether it’s Hawkins, Wilson or Brealey wearing the shoes but she has exuded such a singular sense each time which has been breathtaking to behold. And partnered by the affable/affectionate/rumpled charms of Spall/Gyllenhaal/Armstrong, they’ve all been Marianne and Roland but their own Marianne and Roland and brilliantly so.